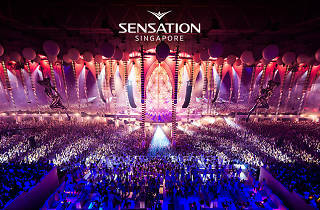 Started 18 years ago in Amsterdam, Sensation is more than just your average dance party. Dubbed as the 'world's leading dance event', the music festival treats revellers to a celebration of the senses through high-octane electronic music, a spectacular laser light show and jaw-dropping pyrotechnic and acrobatic performances. After travelling across the globe and making appearances in various cities like Mexico City and Jakarta, the music festival finally heads its way to our shores for the very first time. Get ready to immerse yourself in a sea of white – the festival's official dress code – and party alongside the biggest DJ acts in the world. Although the headliners for Singapore's show have not been confirmed, other cities have seen the likes of heavyweight music producers Dash Berlin, Quintino and Sunnery James & Ryan Marciano helming the decks – so we have a pretty strong inkling that the lineup's going to be quite impressive. Pre-registration starts now. Be sure to sign up for its early bird packages here.